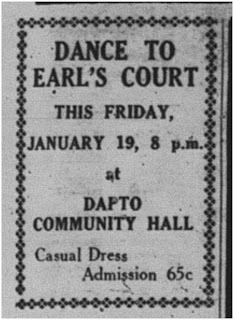 Of all the bands to emerge from the local scene in the sixties, Earl's Court is perhaps one of the more intriguing. Yet, despite them having a minor hit, one would be hard-pressed to track down any recordings credited to the band. But more on that in a moment. 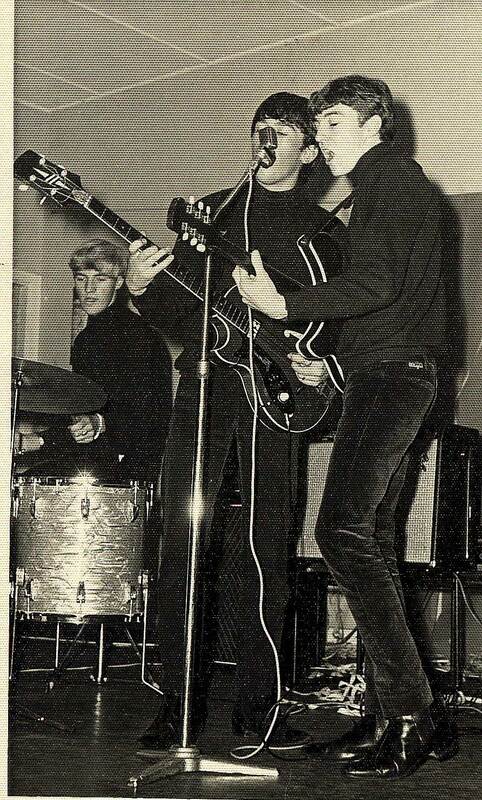 The origins of Earl's Court can be traced back to The Images: an instrumental group formed in 1965, and made up of Corrimal High students Mark Searle (bass), Brian Johnson (drums), Les Eager (rhythm) and Andy Gollop (lead). Very much influenced by The Shadows, The Images began gigging locally and making a name for themselves. 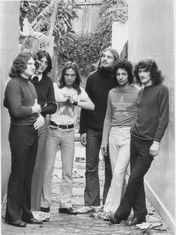 In attendance at a number of the band's gigs was fellow Corrimal High student Erle Dalby, who eventually convinced the band to form a vocal group with his involvement. The change would see a tweaking of the roles, with Searle taking on rhythm guitar, Gollop picking up the bass, Dalby tackling guitar and lead vocal, and Eager dropping out. 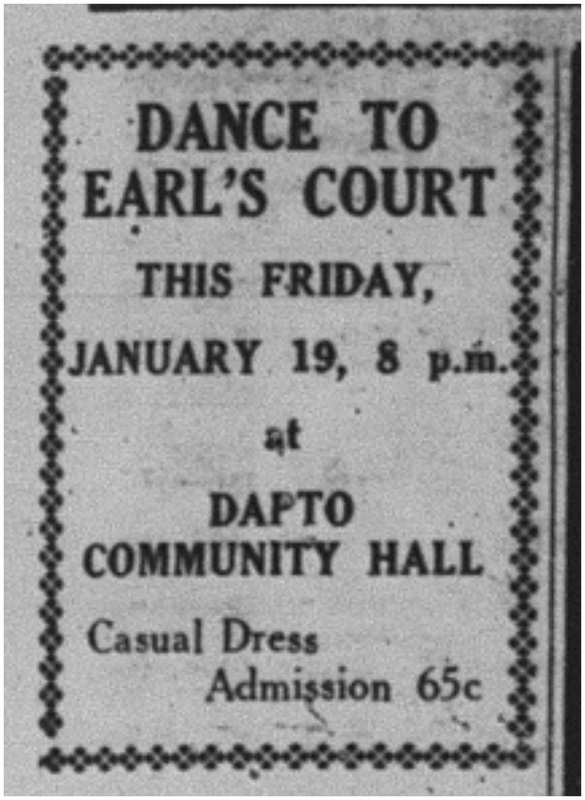 With the new line-up came a new name, and Earl's Court - a name Gollop says was suggested by local venue operator Zondrae King, referencing the London province popular with Aussie ex-pats - began picking up where The Images left off, getting gigs at Pioneer Hall, Corrimal Community Hall and, of course, Zondrae's. So nervous and inexperienced were the band that Zondrae recalls an early show at her venue where Dalby half-hid in the curtain that ran alongside the stage through the whole set. "I don't remember much about the style of music they were playing at that point." says King, "but it must have fitted in because they were always one of our favourite bands." Gollop, however, remembers it differently. "Apart from anything else," he says "it's difficult to hide behind a curtain while playing guitar. Also, the stage was very small at Zondrae's and did not have curtains." In 1966 Dalby was expelled from school (for painting one of the buildings yellow, amongst other minor indiscretions) and commenced training as a telephone technician in Sydney. It is here were he met drummer Steve McDonald who was invited to replace Johnson, who, though arguably a better drummer, lacked flair. Meanwhile local teenage dance organiser David Jones was brought in as the bands' manager, simply because the band "needed someone". The opportunity to play live gave the quartet some much-needed exposure and in October that same year they entered the innaugural 'Beat Battle' hosted at the Wollongong Show. For the show, the band adopted a 'uniform' by way of white skivvies and jeans, a strategy Gollop believes influenced the outcome. Up against other local acts such as The Finks, The None-Such, The Mystic Eyes and The Method, Earl's Court walked away victorious because, according to judge Tony Murphy, "they displayed the greatest potential". The prize included cash as well as an appearance on Murphy's nationally broadcasted 'Saturday Date'. However, neither of these prizes ever materialised. Following this success Earl's Court would go through more transformations, first experimenting with an organist (Jim Fox), and then with the departure of Dalby. Dalby's movements around this time is difficult to pinpoint. A South Coast Times piece puts him in a group called Candle - a band Dalby has no recollection of. Meanwhile Gollop suggests Dalby may have formed The Driven Minds around this time, though Dalby insists The Driven Minds existed pre-Earl's Court. Nonetheless, Dalby's absence from the band lasted for 12-months or so, while Gollop, Searle and McDonald continued on with old school friend Derek Warner who joined as vocalist/guitarist. This new line-up renamed themselves Simon Suede - a group which Gollop says was "very much characterised by harmonies", and soon became the resident band at King's new venue, Wonderland (where Northern Ten Pin Bowl now stands). 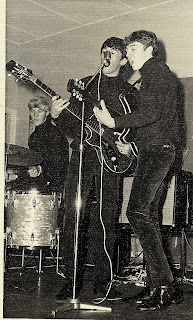 Gary Vickery (previously of The Princetons and The Swinging Meet) was soon brought into Simon Suede as lead guitarist to replace Warner who had left to join The None-Such. Sometime in mid-'68, and with a little prodding from their peers, the band decided to re-unite with Dalby and in doing so reverted back to Earl's Court. The new, revitalised Earl's Court chose Hoadley's Battle of the Sounds for their first reunion gig, and despite wowing audiences were beaten to the punch by Tin Pan Alley. 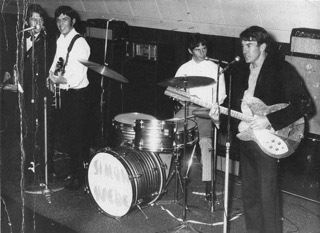 With Vickery & Searle providing the six-strings, Dalby was left to focus on his vocals, and according to the South Coast Times their performance was "right out of sight". Due to McDonald's tendency to lose time whilst singing, Vickery recommended Don Costa (The Living Dead/The Swinging Meet) to take the drummer's stool. With the help of regular Wonderland performances, the band had matured and established a solid following. King remembers "Erle had developed into a great front man, with his hair flowing and the white linen hippy style clothing. Erle had a particular kind of a swaying, marching, left right step, he used to keep time with the music and he would do the old 'one finger in the ear' with his left hand to keep himself focused. All the while using his right hand to express the lyric." Having parted ways with David Jones when the band first morphed into Simon Suede, Earl's Court continued on without a manager, though they did allow Red Della Bona (Zondrae King's mother) - who the boys affectionately called "Mum Della Bona" - to help them out to this end. The band experimented with female vocalists, and at one stage featured both Angela Jones (later of Tin Pin Alley) and Cheryl Hidasi, before shifting back to the more manageable quintet. Dalby would later elope with Hidasi with whom he would have two children. Unfortunately the marriage would not last. in 1969 Mum Della Bona would introduce the band to Dal Myles - a high profile TV newsreader and, later, compere for Saturday morning TV show 'Happening '70'. Myles attended an Earl's Court show and sensing the potential within the band, offered them the Vanda/Young-penned song 'Can't Wait for September'. The band's relationship with Myles would soon sour however, when it was revealed they would have to pay for their own recording session. Nonetheless, Earl's Court booked themselves into United Sound Studios in Pyrmont. Best known for its soundtrack work, United Sound's biggest recording credit came via Island recording artist John Martyn who used the studio to record the theme song to the Australian film In Search of Anna in 1978. Having recently opened it's doors to rock acts Earl's Court were one of the first bands to record at the studio, although to keep costs down they were forced to work the midnight-to-dawn sessions. Spencer Lee worked behind the mixing desk while the band laid down 'Can't Wait for September' and 'Let Me Be Yours Until Tomorrow'; a song penned by Carole King & Gerry Goffin and recorded by a dozen or so bands in the preceding four years, among them Engelbert Humperdink, Cher, The Monkees and Melbourne-based The Dream. The band also paid for a full orchestra for the string backing and Rory Thomas (Doug Parkinson's In Focus) provided the keys as well as producing the single. Gollop also recalls paying Myles $200 for his part in getting the single air play. Dalby disputes this detail and goes as far as saying that by the time the single was released in 1970 the Australian radio strike was in full swing. This strike action was in protest to APRA demanding licensing fees from radio stations that played their member's material. As Earl's Court were not APRA members, there were no licensing fees, and subsequently the single received airplay without the need for Myles' involvement. Either way, the single did reasonably well, though the band would not be credited for their involvement. 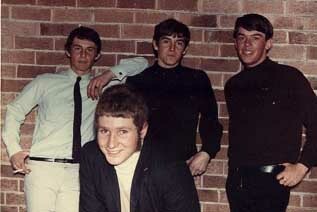 By the time May 1970 had come around, Gollop had been called up for national service, signalling the end of the band. Myles subsequently teamed Dalby up with the fledgling Sydney band Pyramid. The two tracks which Earl's Court had paid for and played on were released under the name of Pyramid featuring Erl Dalby (note the revised spelling of Dalby's name) despite no members of Pyramid actually appearing on the record. A rumour circulated that Pyramid had in fact re-recorded the single, however the members of Earl's Court maintain the single was their recording, and will point to Gollop's 'bum bass note' at the end of the A-side as evidence. 'Can't Wait for September' was released in November 1970 on Du Monde Records (SDM-325) and entered the Go-Set Top 60 at #51 on Boxing Day 1970, and peaked at #24 before sliding back down the charts. 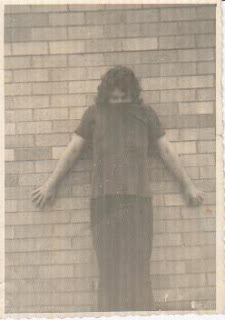 Dalby continued to perform with Pyramid before forging a career in musical theatre. Dalby contributed vocals to Jesus Christ Superstar, Man of Sorrow and Rod Stewart's ill-fated Nuclear, before heading to the UK in 1974 to pursue his career in theatre. Today Dalby resides in Wales, goes by the name of Erle Montaigue, and is a highly respected martial arts instructor, having published over 25 books and instructional videos on the topic. Additionally, Montaigue performs and records in the family band Moontagu. In late 1971 Vickery relocated to Sydney to pursue music full-time and also found solace in musical theatre. Today Vickery is one of Australia's most respected guitarists and has performed in the stage productions of Cats, Grease, Jesus Christ Superstar, Mamma Mia, Les Miserables (ad infinitum) across the country and Asia. Following the demise of Earl's Court, Searle continued to play music in a country rock band though no further details have surfaced throughout my research. Gollop trained as a medic in the army, and upon his return in 1972, completed his training in metallurgy and worked at BHP until the late nineties. Gollop currently has his own consultancy firm and at present is contracted to to BlueScope. Having maintained his interest in music, Gollop has built a home studio primarily for hobby purposes. Gollop's son David currently plays drums for local band, Lint. 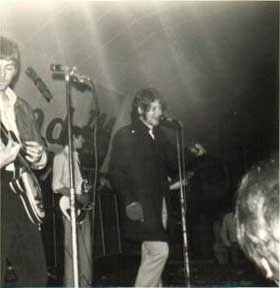 Don Costa went on to perform with The Nightwalkers, before landing a gig with local stalwarts The Tornadoes. Sadly, Costa passed away on 12 September 1999, aged 50. It is believed that Steve McDonald relocated to Hawaii, whilst Les Eager gave up guitar and worked as a chemist at BHP until his retirement. Brian Johnson pursued a career in accountancy. Postscript: On 26 January 2011, Erle Montaugue passed away suddenly at his home in Wales. Please read this tribute for further details about Erle's life, post-Earl's Court. A huge 'thank you' to Erle Montaigue, Gary Vickery, Andy Gollop & Zondrae King for their patience, persistence, and assistance with this article. Great to hear this music again. We were keen Earls Court followers in the 1960s - thankyou. Sorry to inform everyone that Erl passed away suddenly on Wednesday 26/01/11 in his home town in Wales whilst going for a walk.